Zach Swinehart founder of Online in a day joins Jason Hartman on the Speaking of Wealth. Zach talks about how Online in a day came about, the process of what it does for their clients, what kind of themes Zack uses for sites, and his advice on how to understand better and more about user experience on people’s websites on today’s episode. 21:28 – The pricing of Zach’s services depends on which package you want. 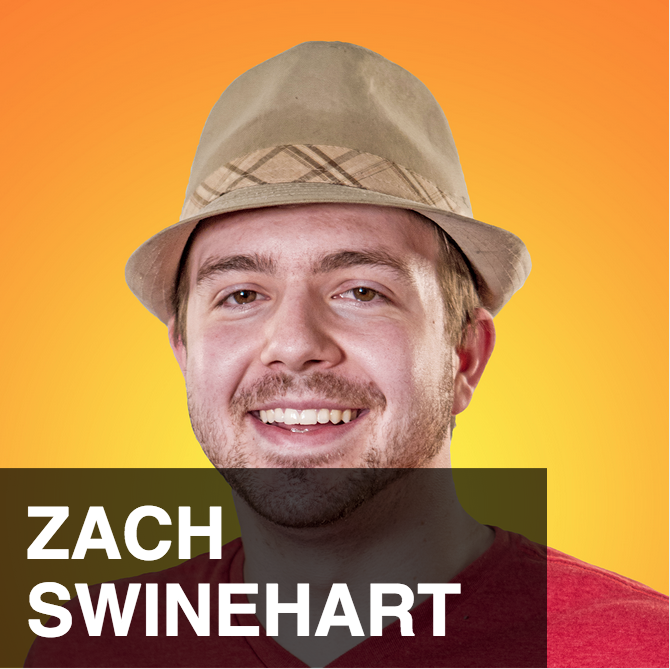 Hey, it’s my pleasure to welcome Zach Swinehart to the show. He is the founder of Online in a day and he has a really cool unique selling proposition, unique way to do web development, I’ve definitely found over the years having done many, many website projects that the projects tend to kind of drag on and are never, they’re never really completely finish. So, I’m looking forward to hearing Zach today about his unique solution to that. Zach welcome, how are you? Doing great. Thanks for having me. Yeah, my pleasure. Tell us about how you came to do Online in a day. I mean, you know, were the problems pretty much as I describe them? Yeah, I say so. Do you want a long story version of it or short story version? Short story version. Our listeners have ADD, entrepreneur ADD. So, the short story is that I was doing websites the quote typical way for a long time, probably of the six or so years of doing websites, four of those were doing it the old way and I got burn out, because what would always happen is I’d have all these projects going on at once where I would be like waiting on content from the client or something like that and it would be super slow and then everybody would decide to get their content together in one day and I’d get full inbox and all stuff. So anyway, getting bunt out on that process, or for example, when you’re feeling creatively driven to do a design and you put something together and email it off and then you’re back for a couple of days it’s not like that creatively drive is still lingering around. So, I had met a friend who was kind of doing a quick turn around sort of approach for template sites, so he had like online in a day, I don’t know what he called it, but he had something essentially where he would do little template sites for people who could pick from like five templates and he’d install that template on WordPress that sort of thing, but I’m really competitive and I’ve never met a developer who’s as efficient as me. So, I decided that it would be fun challenge to see if I could do something like that, but with the same quality of websites that would typically are stretching out over a couple of months. Right, right, yep and is everything you do on WordPress? I prefer it to be, that’s put it that way. Everything’s not I’m happy to make static sites Genesis, there aren’t many reasons to put something elsewhere, in my opinion. Yeah, I agree with ya. Okay, so take us through the day, Zach, you know whether or not people use your service I think they can learn a lot b the schedule, I remember when I first learned about you, I look on your website and I look at this schedule and I thought, you know, you can do website in a day, just dedicate a day, knock the project out and boom, it’s done. You know, rather than this 200 emails back and forth, phone calls, getting other team members on the call, you know, that kind of stuff, it really seems like a very good process. Take us through this schedule, if you will, of how the calendar works that day. Whoa, you don’t just leave it there, hang on a second. So, what else did you apply it to, so game development, I mean, that’s more development, how about something else. I mean, you know, people who are not fit, can’t get fit in a day, unfortunately, I bet they wish they could. Well, when you think of them just drop them into your topic. Take us through the schedule, okay go for it. So, the schedule for the day is I like to do a kick off call about a week in advance be fore the work day and on that kick off call, we essentially go through everything we are going to be doing on the site and I create a long list of homework assignments for the client and the ideal situation is the client would have things like copy written in advance and stuff like that, especially if I’m doing let’s say a sales page or opt-in page where the design of that page is so kind of center around the copy. But a lot of the clients I work with it’s their first kind of marketing sort of site, and so they need a little bit of guidance and direction on writing copy and obviously for them they wouldn’t have it done in advance, but if I do get that stuff in advance the way it would work is either I’d do the design like the night before and kick the day off with the design review or we just start the day and kind of go over what we’re going to do and I get started on the design, and what’s so great about this it’s always fun looking at the Skype log at the end of the day and thinking of how long it would taken if it was all back and forth via email, it’s crazy. But anyway the day kicks off with design and essentially design takes about, I say, like on average three hours cause I’m pretty quick about it and I’d kind of put together the design and then just Skype the screenshot to the client, they’ll give me small tweaks or if they have bigger tweaks, we’ll actually jump on Screen Share and then they can kind of make a suggestion and watch me make change and then we can just tweak it and get it publish, and that’s why we are able do it in a few hours, because it’s just this collaborate thing vs., you know, making three mock ups and sending it and all that stuff. So, really first step is design and then typically while I’m working on the design, I’ll the client working on some copy polish or other little to-dos like that and then once a design is good to go we move into the development stage and that’s when the client gets to take a little bit of breather and have some free time, so that they’re not busy with all these assignments I’ve been giving them and build it from there and that’s about it. I can go into the development part, but really it’s just– you design it, you develop it and then you put the copy in, and that’s really all there is to a website. Right, right, so take us through the development part, though, I mean, what do you do and when you say design is that really picking a theme, you know, or do you use only a certain couple of WordPress themes. I find that theme selection is really tough, because of course they can all be modified, they’re just so many varieties, it’s too much. But there are many versions of Genesis. Exactly and really there many child themes for Genesis, and so that’s what we do if it’s– we’re going to use Genesis for it, which like I said we do for podcasts and stuff is I’ll do the design in Photoshop and then we’ll just build a Genesis child theme and modify it, so it’ll look just like that Photoshop file. Okay and explain to people what is a child theme. A child theme will inherit a lot of the functionality and styles from the parent theme, but it will allow you customize that without having to edit the theme directly, because, let’s say, you did hack the Genesis theme directly and you just edited the code, well if a Genesis theme update comes out and you updated it all of that stuff you customize is just going get wiped, where as when you make a child theme it allows you to keep your theme, your main Genesis theme up to date, so that its secure and has the latest code and all that stuff without having to edited directly. So, that’s really the power of child themes. Okay, good, good stuff. So, I took you on a tangent of the child theme, but now I don’t remember what you were saying before. I mean, we were talking about theme selection and all that stuff. And to do that in Genesis themes we do, we use a plug-in for it which creates a [Cuts out] functionality, but it’s just kind of nice with enfold builds in and with enfold, because— Jason and I cut out a minute ago and I don’t know if it’s going to be included, what I was saying is that enfold– Okay, enfold great for small business type sites, but we use Genesis for like podcasts and blogs cause fantastic for those and enfold is a little bit better for a standard small business site where the content is deliver more, you know, with page content than with blog posts or podcast posts or something and the third thing that we’ll start from that can be tact on [Cuts out] both enfold and Genesis is OptimizePress which is what I like to use when building opt-in pages and sales pages and that’s just a plug-in you can add on. We were talking, you know, more broadly about like design, right, so picking a theme and then when you say design, Zack, what do you mean? I mean, are you acting as like a branding agency and helping someone determine their colors, and their logo, and their whole looking feel or– what do you mean, when you talk about designs? So, varieties depending on the client, I’m a very good website designer, but I don’t consider myself as good of just a straight up illustrator or artist and so when it comes to logos it kind of depends on the client, if not really sure what they want, I’d usually have them go to 99designs, so that they can get a lot of options and make a choice. I usually only would do logo if there’s a lot of clarity from the client about what they want and just kind of want me to do it. But either way we go, the thing that drives my design is in that kick off call when I talk with the client about really what they want the users of the site to be doing and kind of getting in the shoes of the people on the site, then we can identify the core objectives that we want that site to have and then the design really just needs to match that and look pretty. So, Zach, when it comes to the overall tie in of one’s website and their marketing and that whole user experience, many analysis have been done on how page layouts should be, looking at user behavior, looking at mouse movements, many books have been written on that topic, just share any of your best practices thoughts on those topics, if you would. So, the first thing you could asked yourself is who it is that’s on your site and what they’re looking for and I’ve been doing a redesign of my site, it’s always hard doing stuff for yourself, so I’ve been asking some of these questions myself recently. So, for me, for example, the people on my site have usually heard of me somehow, most of my business comes from referrals or it comes from like people clicking the, you know, “Design By Zack” link at the bottom, so anyone whose on my site, already kind of likes me and if that’s the case with you if you do a lot of referrals business that is going to affect how you should craft your user experience vs. if no ones likes you, yet and stuff. So, for me if people already have a generally good opinion of me vs. a neutral opinion, I’m kind of trying to address what they might be looking for, so what I ironed out as probably what most people on my site care about would be relevant work that I’ve done is similar what they’re looking to do, how my pricing works, my process cause a lot of people who are coming in for my online in a day thing and that’s cool and they want to lean more and my time to push the site live between working with me and being live on the internet. I can that those are probably the biggest things that my traffic cares about. So, if you could think of, you know, the people coming to your site what the biggest things are that they care about and really try to get into their shoes, it be the right foundation to structural everything based on compared to, you know, doing that last one to not doing it at all, I think the most important part is thinking of who’s using your site and making it work for them and that’s where the design and then like the architecture of the content. So, an example for me is that I know a lot of my clients are either podcastors or financiers, obviously very different requirements for both of those and so if you have something similar to that where it’s like you have these different audience that are your kind of [Cuts out], but want totally different things, it’s about creating the site in a way where they can find what they’re looking for easier without having to sift the crap. So, in my case, for example, if I did have something that was different when I worked with a podcastor vs. an adviser, I might have a panel at the top of the page that simply says “Who are you?” And they can click podcastor or they can click financial adviser and then based on what they click I could essentially server them a landing page customize for what they care about. So, not to go too much in that road, but essentially starting with what your audience cares about and then crafting everything from there, so for example with me, if someone cares about pricing, well then I’m going probably put a couple of pricing things on the homepage right by the contact form, so that if someone is going to be contacting me, they should already know how much I cost and stuff like that. Before I ramble more do you have questions or anything on what I’ve said? No, I think that’s good and, you know, obviously if this is a– if you have pre-repor with these people like a lot of podcastors do, for example, because their potential customer first discover them by listening to them and then maybe much later after listening for quite a while, I know that happens with me, they visit my website and what are they looking for and if your business is something where selling a commodity type business, which I don’t recommend and you’re competing on price, heck you need the prices right there, if it’s not and if they’re hearing about that on your show, you don’t, it just kind of depends like really think, you know, walk in their mockasin, as the old saying goes. Very good points, very good points. So, any other like case studies that you want to share about any of your customers, you know, kind of what the did, Zack, and what worked, what didn’t work, you know, or maybe the customers you don’t have, but you see people out there making the mistakes, there’s a lot to learn from mistake, of course. Like to say with a lot of the sales pages and stuff that I do, a lot of the time– it’s like when I came in with Entrepreneur On Fire and we’ve vamp up a few of their sales pages, a lot of the time the situation will be that previously it just wasn’t really direct– it didn’t have a flow, like you can think of a, let’s say, sales page order component of the website, I think it’s best thought of as like a story, almost, that you take people through compared to a bulletin board where you just pin up a bunch of random crap. So, when I’m thinking of how things make sense if you can– as somebody who is not as familiar with it, which obviously hard if it’s your own thing and you are familiar with it, but if somebody who’s not at all familiar with it can go through the motions that you want them to go through without it, I guess being confusing for them, then that’s a good thing and so what’s nice when I go into sales pages redesign with clients and stuff is that if I’ve heard of them and I’ve never been on their sales page then I can hardness that kind of gut instinct impression that I get when I’m through it. So, what’s hard with making former case studies and stuff is a lot of my clients aren’t good at metrics, so what I really want that I don’t have, I really want to say, hey, I design new sales page list to this person and I made them an extra 50 grand, but unfortunately I don’t have that, but it is nice, because there are a lot of opportunities with some of my clients like Entrepreneur On Fire is a great one, I’m working with John on doing some testing and, like split testing with Visual Website Optimizer to find things like on the homepage, for example, we’re testing right now is just different headline for the opt-in form to see what’s converting the best. I’ll say as far as getting starting with your site in the best way, if you have some sort of metrics even if it’s just simple Google Analytics having something is always better than nothing and testing while it’s boring and a pain is one of those things that is just so awesome about the web that you can actually do it, yeah. You just got to do it, yeah, right, right. The thing is though to test– I mean, yeah, using Visual Website Optimizer, great tool by the way, you know, to test you got to have traffic, right? So, what if someone is listening to this and they’re fairly new, you know, to the world of web, they’re online in a day so to speak, what should they do? Should they buy traffic to just send it there so they can just literally split test? I don’t know, I mean, I remember once when I was testing some stuff on my own projects when I didn’t have a lot of traffic I did that I put it on one of those interstitial ad sites to split test, but the thing I wondered about a lot is if that data was even variable, because if you’re buying like, for example, cheap traffic like I was that isn’t really your audience anyway then you’ll just getting insight into a market but not necessarily your market. So, what I’d typically do with lower traffic sites and what I did with my own site is just kind of like a bootstrap way of testing so my old site when I was doing training on like how to make websites and stuff like that. I would get about, I think about 1500 visitors, unique visitors a month, which isn’t a ton and it’s, you know, not nothing, but it’s also not something that takes that long to build and what I’d do for my tests is I decided that while 2,000, I mean, 2,000 visitors isn’t really, it’s not like a super duper– sorry, statistically significant pool of data, if it’s like a close tie, it’s still enough. Hugely significant, yeah, hugely significant, congruous. Yeah, that’s good, you know, I think people in the internet world get too hypnotize by big numbers if someone was to, you know, hire an agency that did polling and they pull 2,000 people you’ll be impress, those would be like real results, if you got to do a speech and in the room were 2,000 people in the audience and you have to raise, you know, they raise their hands based on certain questions, you would think that’s a significant things, so 2,000 is, you know, you can do business with that and obviously you did, so good job on that. Zack, before you go, do you care to mention any pricing– pricing subject to change always. Just wanted to throw it out there, if you wish too. So, right now for my process, it’s broken into one day and two day packages, which is where most of my work fits into. The one day package includes eight hours and the two day package includes sixteen, and it’s all based right now on my hourly rate, which is currently two twenty-five, but will probably be be going up pretty soon. So, what that does is it brings the one day package up too eighteen-hundred bucks and the two day package out too twenty-three, oh sorry, thirty-hundred seventy-five and, it’s a great deal, if you ask me. Well, I think one of the things that makes it a good deal is that the entrepreneur, the business person is having the website built, is going to get this done and they’re going to get to the finish line, you know, and they’re not going to spend as much their own time on it or their staff’s time. I mean, I look at the projects we’ve done and, you know, in addition to paying the web developer, paying my whole team and my staff to be engage with them, you know, that, there’s a big cost to that. So, a lot of people need to realize that too. Zack Swinehart, thank you so much for joining us. You have a couple of names here onlineinaday.com is that the one you want to give out? Either onlineinaday.com or zachswinehart.com. onlineinaday.com is probably easier to spell. onlineinaday.com Thanks so much Zach.